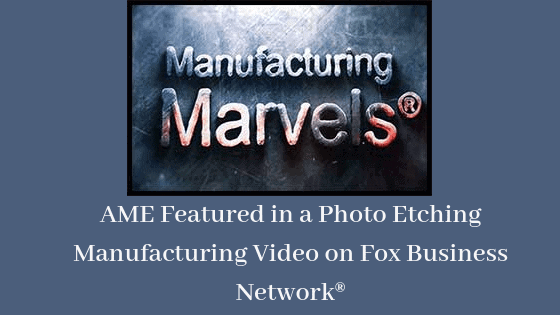 Advanced Metal Etching hit the big screen November 19, 2018, on Fox Business Network®. Our company was featured in a Manufacturing Marvels® video that aired during Lou Dobbs Tonight. Manufacturing Marvels® is a series of educational and promotional videos highlighting US manufacturers and how their products and services contribute to many industry sectors. The series of two-minute videos are produced for FBN® and features the talents of award-winning producers Bob and Jerry May, award-winning director, Bryan McCullough, and narrated by nationally acclaimed voice talent, John Criswell. Advanced Metal Etching was chosen as the first business to represent the photo etching industry in the segment’s broadcast history. We’re very proud to be recognized on a national platform, showcasing the photo etching industry and how it benefits other manufacturing sectors and contributes to US economic development. 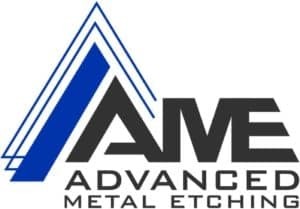 The video highlights Advanced Metal Etching’s efficient photochemical etching process and how AME’s capabilities and value-added services help engineers and OEMs meet project and production deadlines. AME serves many industries including electronics, automobile, aerospace, military, r/f microwave and medical. Find out what AME can do for you. Sign Up For The Latest News, Updates And Blog Articles. © 2018 Advanced Metal Etching. All Rights Reserved.